You probably must have seen a clown juggling balls at a circus, but have you seen anyone playing around with throwing knives? 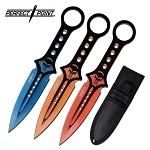 Well, get ready, as the knife throwing sport is gaining popularity and you’ll enjoy watching it or even might end up playing it too. 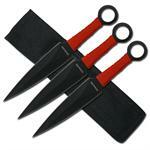 Knife Import offers some of the best throwing knives for sale to cater this need of yours. 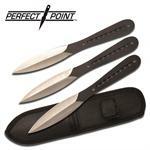 Before mastering the art, it is important for you to have throwing knives, so that you train yourself to perfection. 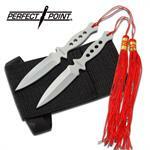 The kunai knife in our collection is one of the best throwing knives that one can have. 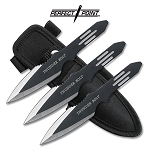 These knives come in a set so that you may practice your game easily. 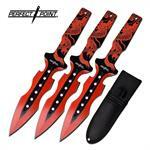 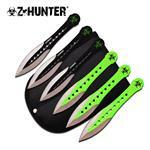 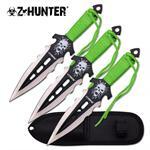 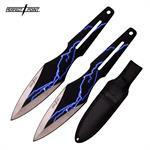 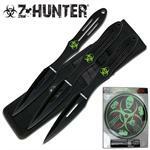 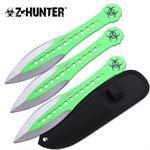 So, browse our collection and buy the throwing knives set for yourself. 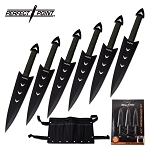 Regarding safety purpose, you should keep in mind that these knives come in two different types, blunt edges for beginners and sharp edges for professionals. 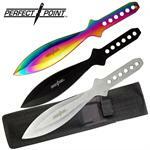 You need to make your choice of knives accordingly. 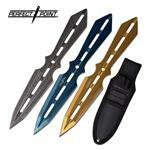 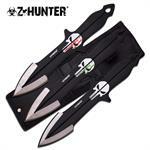 We have a wide range of professional throwing knives for sale at cheap price. 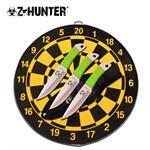 Our throwing knives are just the knives which you are looking for, if you intend to step up your game. 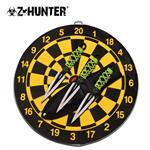 Doing so would also make you the center of attraction in your neighborhood. 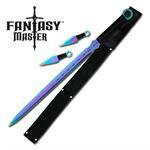 Price? 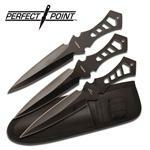 Don’t worry about it, we offer cool throwing knives for sale at very affordable wholesale prices, that’s why people buy in bulk. 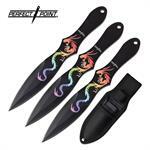 Place your order today and get the additional discounts which we offer for special customers.